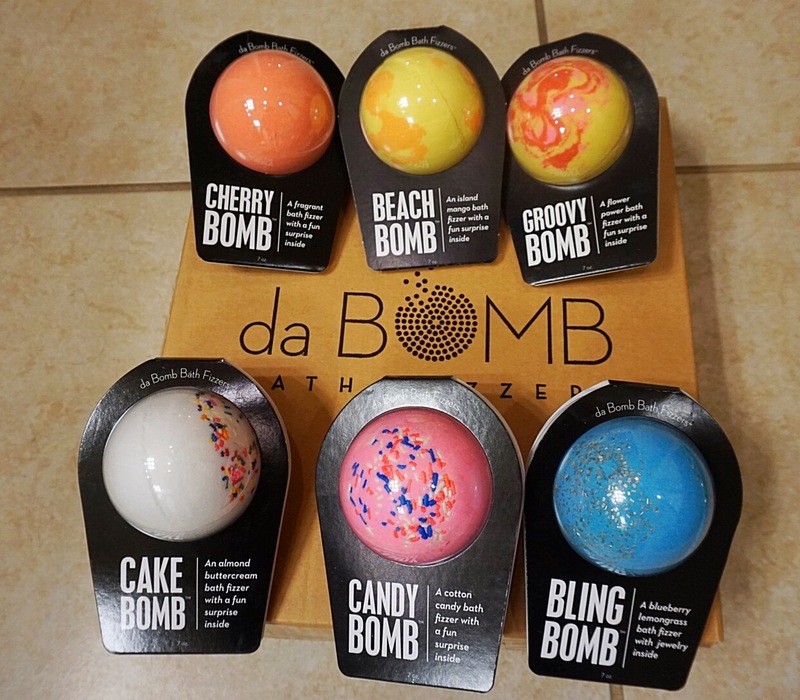 Bath Bombs have been a hit in our home for awhile now. . We buy Bath Bombs that are made locally as well as places we travel. My daughter loves Bath Bombs. I was watching The View recently and that day there was a segment called View Your Deal. This is a segment on the show of items that they are showcasing that are a hit and people are loving. In addition, The View offers a certain percentage off. 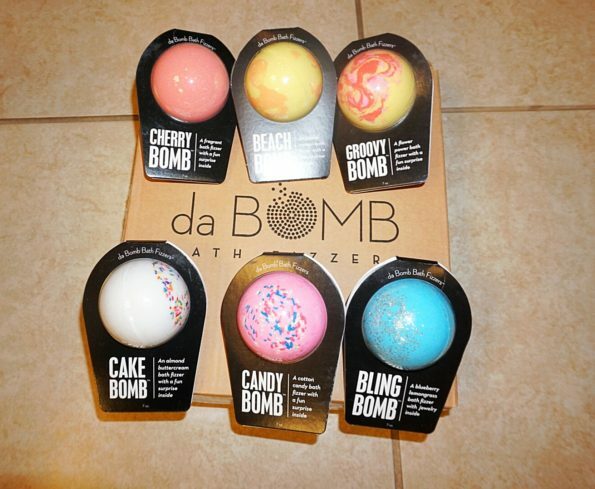 Well da Bomb Bath Fizzers were one of the items that day. I was intrigued as they shared more about da Bomb Bath Fizzers. da Bomb Bath Fizzers was created by 2 young girls who are sisters. These young girls like my daughter loved bath bombs. But they hated that once the bath bombs were placed in the water, that it dissolved and were gone. 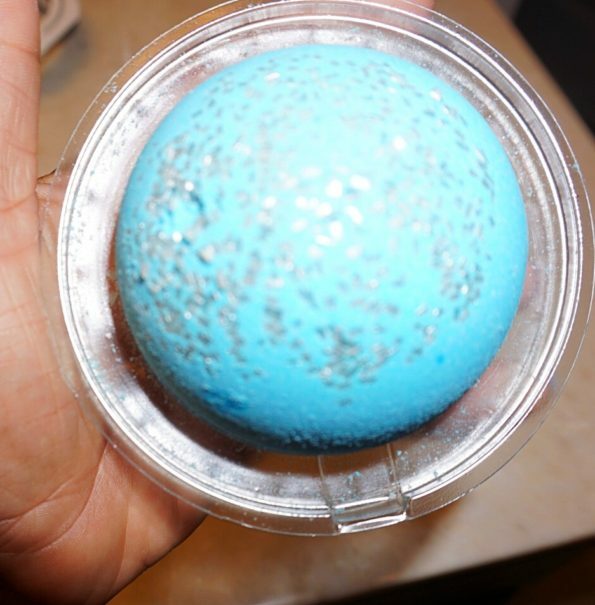 The girls decided to create a bath bomb that had a little something special inside of the bombs. What a genius idea! Bath bombs are made by Isabel and Caroline, with a few high quality ingredients. I purchased two boxes of the bath bombs. When the bombs arrived I had a happy little girl who was surprised and excited to try these items. The bath bombs arrived in a well-packaged box. 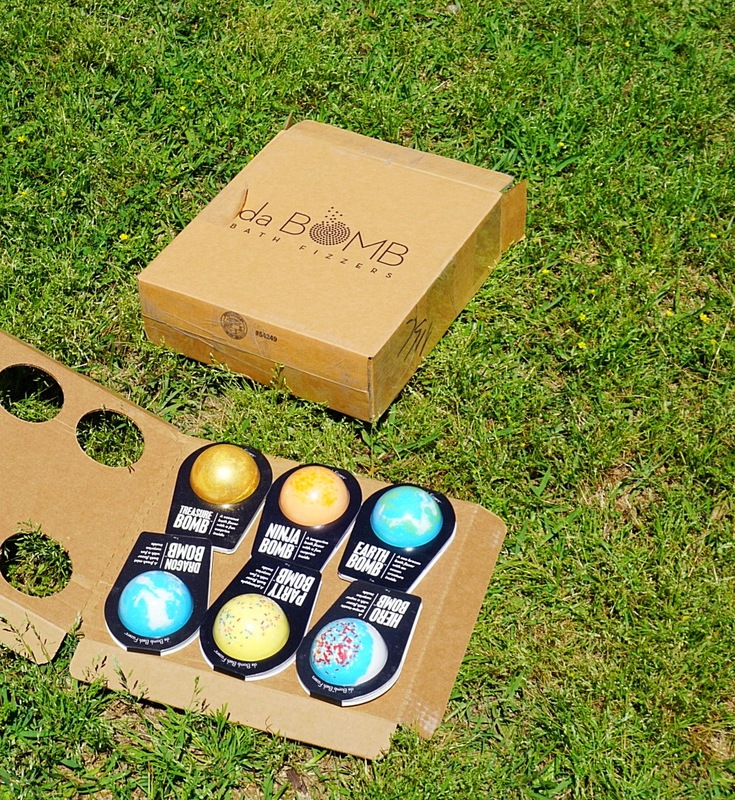 With each having an individually packaged slot for the bath bombs. We couldn’t wait to try the bath bombs out. Baby girl was the first one to try one out. She wanted to try the Bling Bomb. 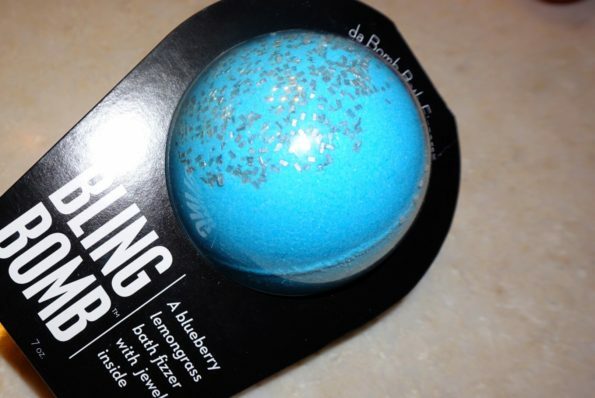 The bomb was a beautiful blue color with shimmery silver. This bomb was different from the others because the bomb had jewelry on the inside. On the inside was a cute costume jewelry ring. Baby girl is having a blast with these bath bombs. 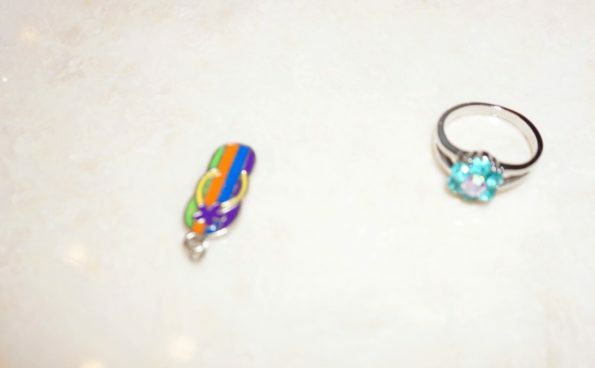 We tried a few others which had charms and pendants for necklaces. So cute. I loved that each bath bomb had a different exterior design. 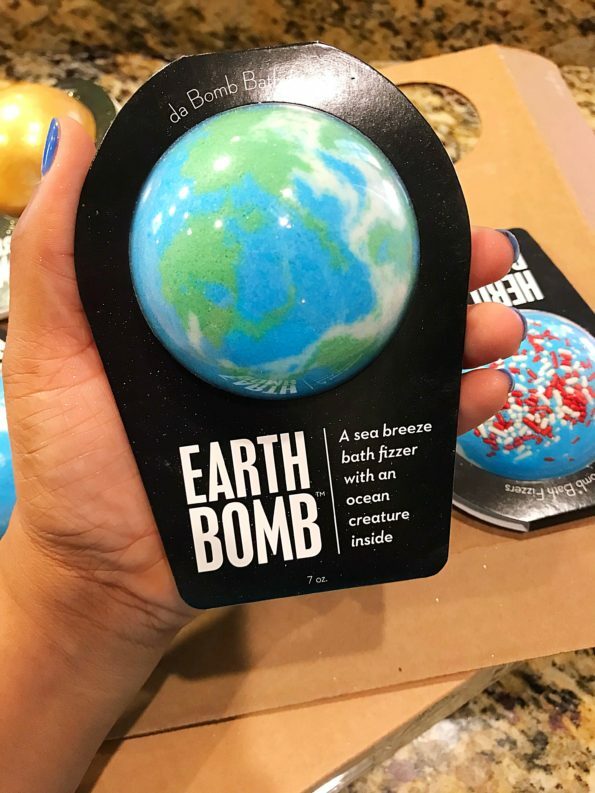 Pictured below is the Earth Bomb which included an ocean creature inside. 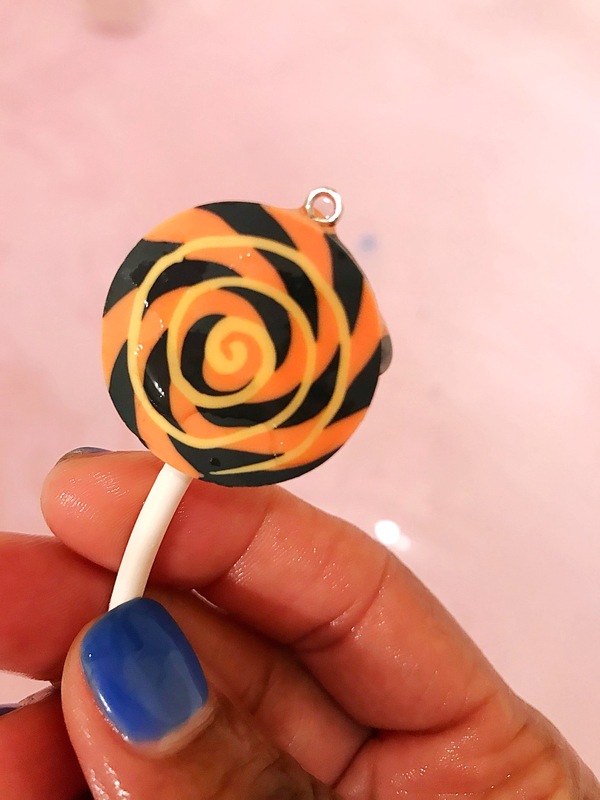 Super cute bath bomb. 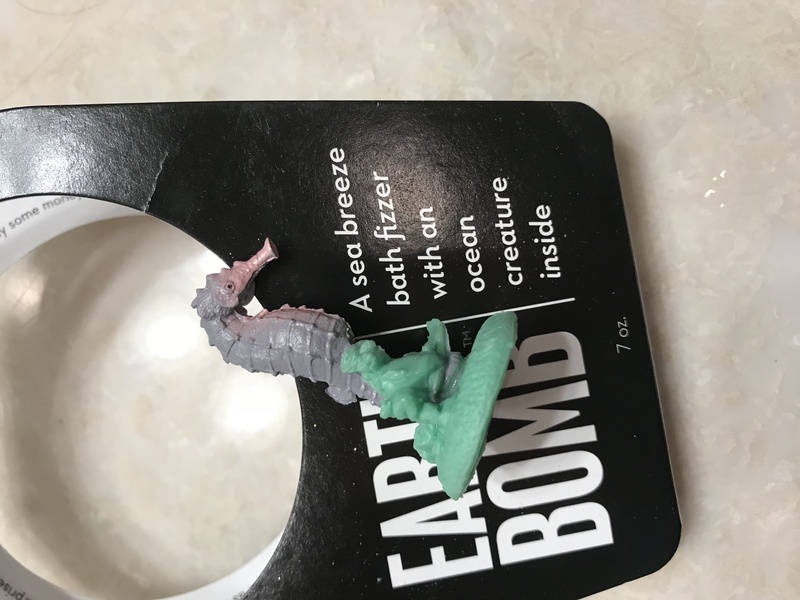 The design of this bath bomb was really cool. 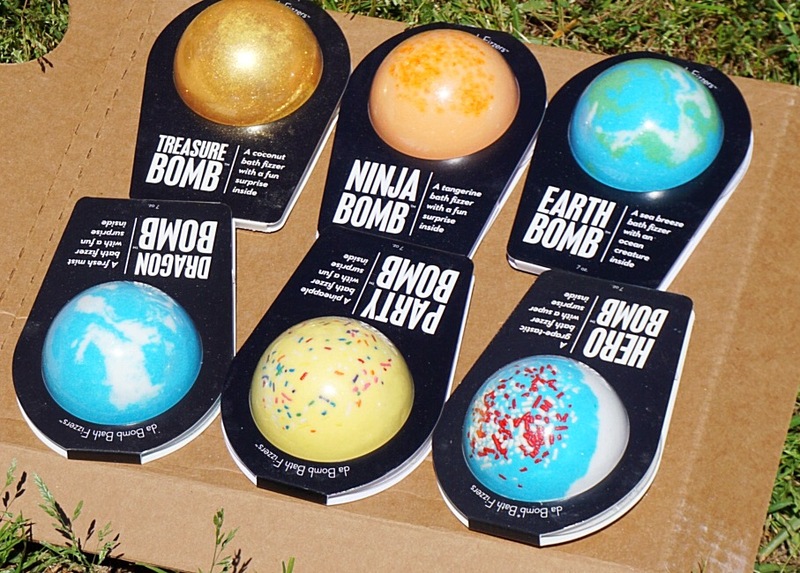 I love that the bath bombs in each box were all different. 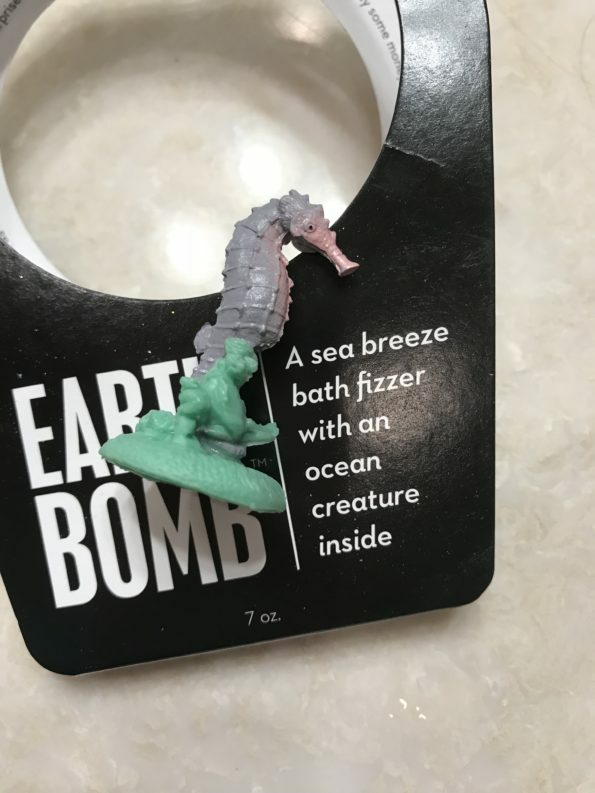 Below is what was inside the Earth Bath Bomb. The little keepsakes were all cool. In addition they offer bath bombs in a jar, gift sets, whoops bath bombs. 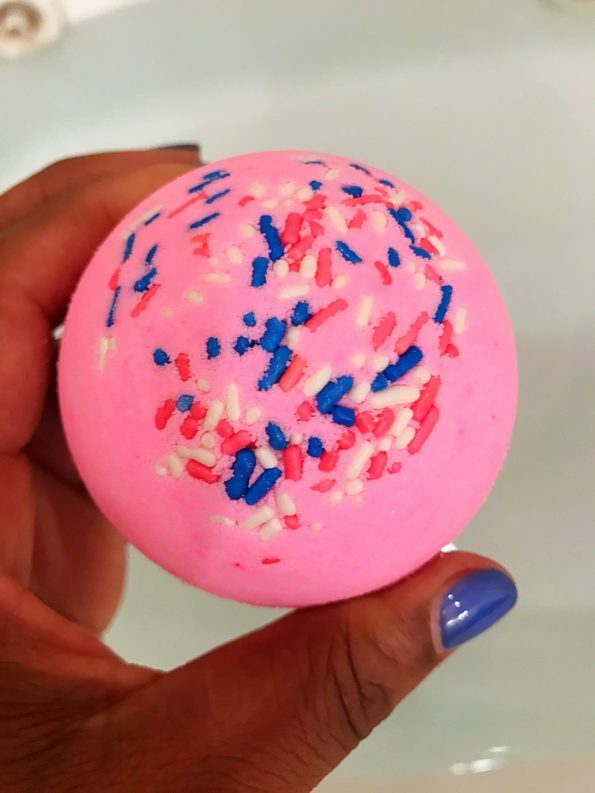 What is a whoops bath bomb? 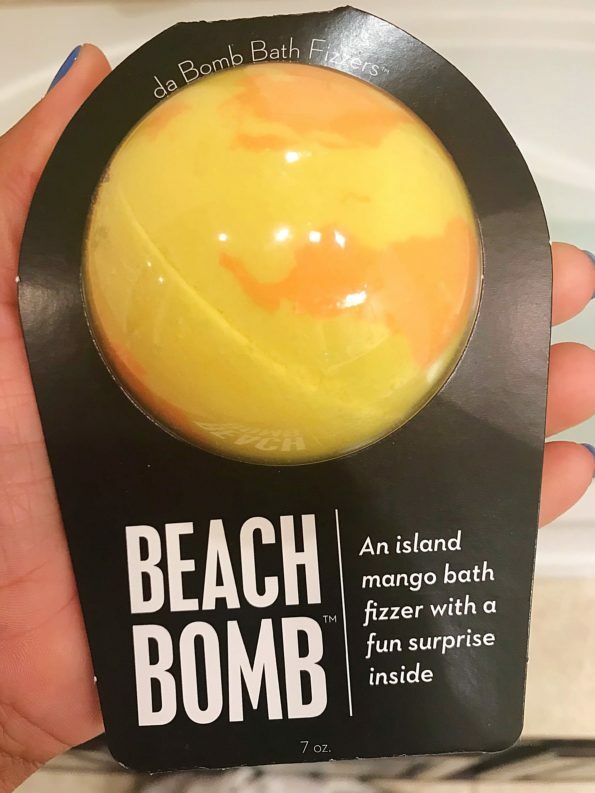 Where it is a bath bomb that maybe has a defect. Whether it is a bath bomb that’s odd shaped, cracked or missing an item inside they sell these at a discounted price. So their goof is your gain. The girls also give back to the environment. Working hard to save the oceans donating money from every bath bomb purchased. Bath Bombs make great gift ideas for girls and women alike. Perfect for daily use. Make bath time fun again for the little girl in your life.